Kärnan literally means ‘The Core’ in Swedish which is a fitting name. This tower stood as the central defensive structure in a more extensive fortress complex. The origins of the fortress are disputed with Danish legend linking it to the reign of the legendary King Fróði whose history is tangled in many layers of myth and legend. He would have lived sometime during the 5th or 6th century A.D. Archaeological evidence fails to support this claim. Dendrochronological (tree rings) has proven the core was built during the 1310’s when Eric VI was King of Denmark. The fortress was important to Denmark’s control over the strait before Scania and Zealand. 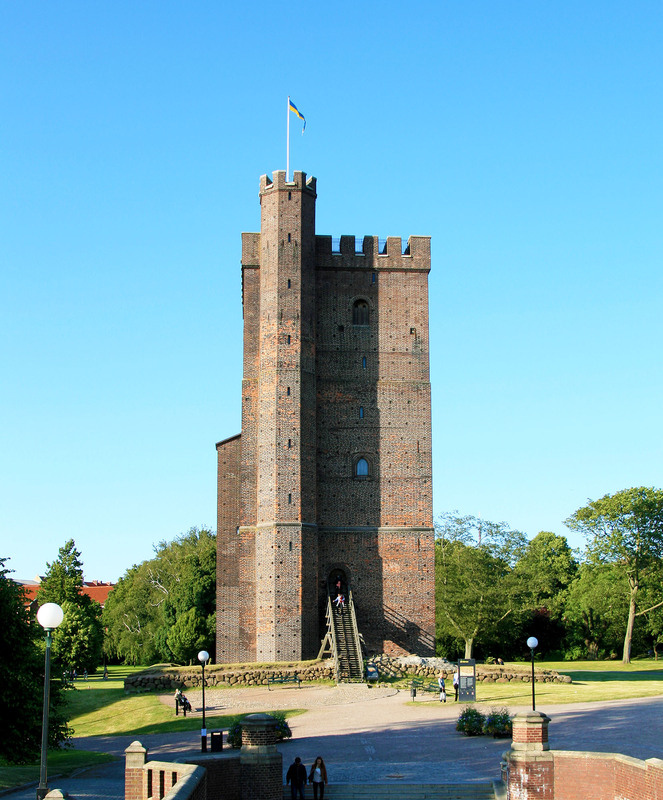 After the fortress swapped hands several times in various conflicts between Sweden and Denmark, King Karl XI of Sweden ordered it demolished in the latter part of the 1600’s, fearing it was too exposed to a sneak attack by Danish forces. The central medieval tower, the core, was all that was preserved for posterity and continued to serve as a landmark for shipping through the strait.